Are you craving more freedom in your life? I know 2015 is your year to make it happen! Have you always known you were meant for something more than paying your bills at a job that doesn’t inspire you, but aren’t sure what step to take next? Have you been dreaming for years about starting your business but have no idea what that would look like or how to get started? 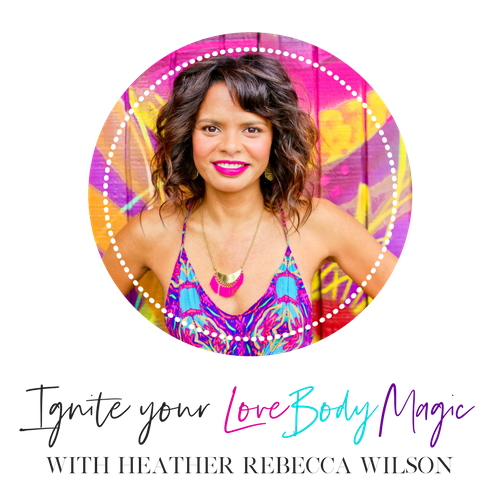 Are you seeking a way to combine your multiple passions into a business and life you're completely lit up about? I can help. In the past six months I have traveled to Spain, Mexico, Belize, Paris, New York City and left my 9-to-5 job to become a full-time lifestyle entrepreneur. I’ve strategically built my business to not only support me in traveling the world in style according to my own schedule, but most importantly to serve as a platform for me to do the work I was meant to do in the world through coaching, speaking, and showing other women what is possible for their lives. I am absolutely passionate about empowering women through culturally competent personal mastery, spirituality, and financial success. My glamorous, freedom-based business allows me to live on purpose, which is to be a loving and healing presence in the lives of people around me. What would it feel like for YOU to have a glamorous, freedom-based business that allows you to serve the world using the specialized knowledge, talents, and skills you already have? In this 3-hour skype mini-intensive, we’ll get crystal clear your desired lifestyle, core values, financial goals, and most importantly - how you want to feel at the end of 2015. We’ll also uncover any emotional blocks and self-limiting beliefs that might be standing in the way of you and your dream life. Additionally, we will work together to craft a strategic plan with clear action steps that will get you moving in the direction of your dreams and goals. Get ready to think bigger and more creatively than you ever have before. This is your time to shine! We'll identify your desired lifestyle, life purpose, ideal business, and the specific action steps you'll need to take to achieve your goals. We'll work together to create a customized and detailed plan for you to rock out the rest of 2015. You'll leave our session with personalized affirmations to rewire your brain and lift your vibration so that you will become a magnet to the amazing life and business that are meant for you. Are you ready to blast off into the stratosphere? Let's do it! stop apologizing for your desires. You love what you love. Period. End of story. finally experience the transformational and lasting change you've been craving - being in the same place a year from is just not acceptable! The Total Investment is just $250.00! What are you waiting for? This is YOUR life. Take a stand for your success. Take a stand for YOU. Don't wait another year to claim the life that is meant for you. It's time to take action now! This offer is available for a limited time only. NOT SURE IF THIS PROGRAM IS RIGHT FOR YOU? LET'S HAVE A QUICK CHAT AND FIND OUT. 2015 IS GOING TO BE YOUR YEAR! LET'S DO THIS!